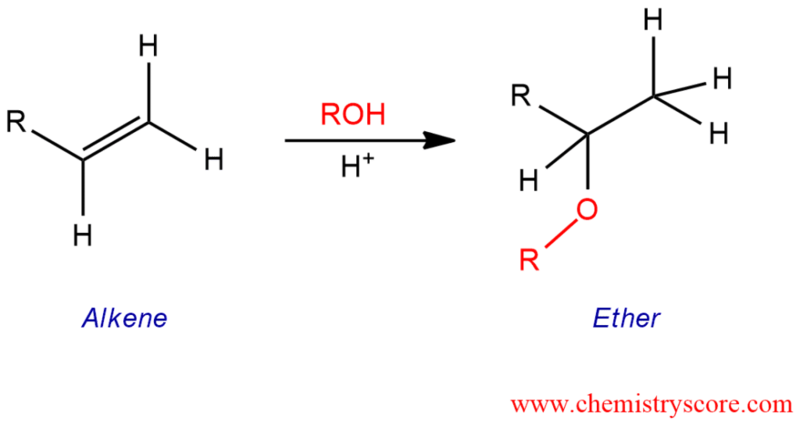 An acid catalyzed hydro-alkoxy addition is the addition of an alcohol to carbon-carbon double bond to form an ether. When sulfuric acid is placed in a solution of methanol, a sulfuric acid as a strong acid immediately will protonate methanol. This protonated alcohol will react with an alkene. A double bond will take a hydrogen and O-H bond will break down and return those electrons back to the oxygen. Hydrogen will add to the secondary carbon of a double bond and will form a tertiary carbocation (tertiary carbocation is more stable than secondary ones and that is why it will not attack the tertiary carbon). Then, one molecule of methanol will attack the carbocation and the other will remove the hydrogen and form an ether. 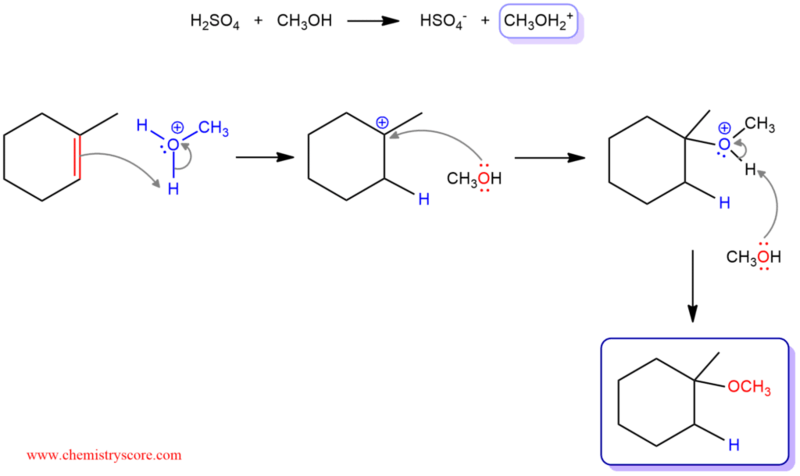 In such reactions where a carbocation is created, rearrangement can occur. Carbocations are also stabilized by resonance, which allows the positive charge to be delocalized or “spread out” over a greater area on the molecule. If a situation exists where an unstable carbocation can be transformed into a more stable carbocation, a rearrangement is possible.